A common word used to describe good jazz is to say it “swings.” This usually defines the time and feel of the music. 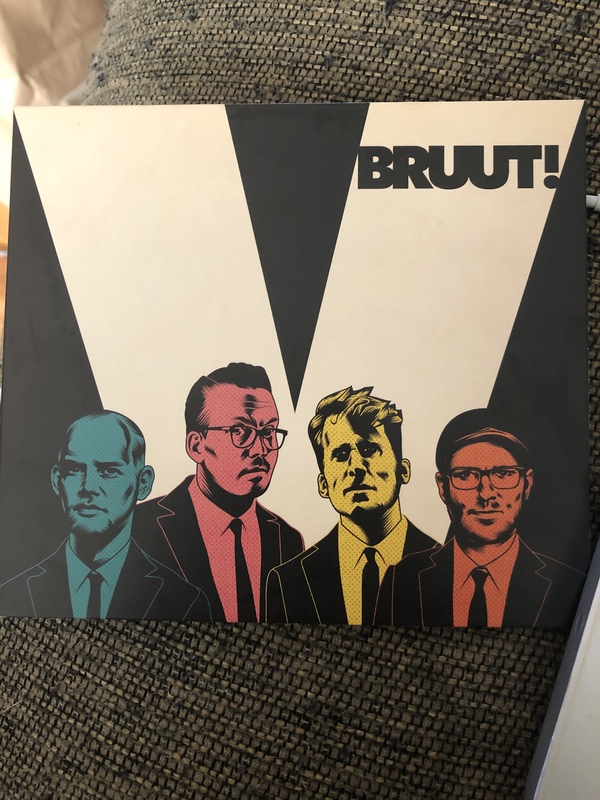 In the case of Amsterdam’s Bruut!, swing isn’t just a feel, it’s an attitude. With V, Bruut! has created a great soundtrack for an unmade heist movie. The tunes are full of tongue-in-cheek attitude, giving the listener no choice but to move in one way or another. There is nothing complicated about the grooves or melodies, making the music highly accessible, while still highly entertaining. The rhythm section is air-tight, giving the saxophone the ability to float over the top of the mix or dig in and groove along. Not only is the band swinging, one can sense they’re having fun. This album is a great way to introduce a neophyte to jazz.